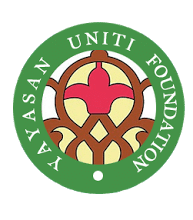 " To achieve our mission to provide education on part with other private institutions to all the graduates, UNITI College provides various financial aid and awards to deserving students "
The government of Malaysia has consistently stressed on the importance of education as one of the most important sectors of growth for the country. With this in mind, the Education Ministry and other relevant governmental bodies have made available many types of financial packages from banks, financial institutions, state departments, government-linked agencies and local organizations which basically offer scholarships, loans and financial aid to local students. UNITI will do its best in assisting students to obtain financial aids for their studies. Local students may apply for educational loans from financial institutions, state foundations and PTPTN. Besides financial aids, we constantly work with related agencies and industrial partners in offering grants and scholarships to applicable students. Below are some of the option suggested that might give you financial assistant.